You are here: Home » BUSINESS » Soybeans have become a Highlight in European Agriculture, what is the Situation in BiH? Soybeans have become a Highlight in European Agriculture, what is the Situation in BiH? 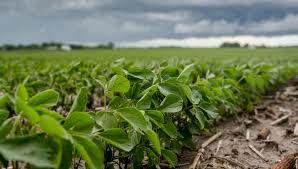 Soybeans have become a highlight in European agriculture, fodder industry and food industry. In order to cover for the shortage of proteins in fodder, the European Union imports around 23 million tonnes of soybean groats and 12.5 million tonnes of soybean kernel primarily from South America. However, about two thirds of import consists of genetically modified soybeans. GMO supplies were first placed on the market in the 90s of the last century, and ever since then consumers’ concern has grown in relation to such supplies, especially in Europe. Consumers’ concern in the European Union resulted in the obligation to mark both genetically modified food and fodder. The Law on GMO in Bosnia and Herzegovina also prescribes a similar practice. That is why BiH market increasingly shifts the focus on non-GMO seeds, which are in a high demand. “Speaking of soybean production, the total quantity of this oil plant that could be produced in Bosnia and Herzegovina represents “a drop in the ocean of the global production” and so Bosnia and Herzegovina should definitely look for opportunities and competitiveness on the market of non-GM soybeans. Establishing a strong raw material basis for companies that are in the business of food production in BiH, would also mean the strengthening of domestic producers. One of the criteria of product quality is also a non-GMO production which is competitive on the domestic market and global market as well. Therefore, a non-GMO production is the future of a strong BiH agriculture“, submits Nada Ević from the Ministry of Agriculture, Water Management and Forestry of Posavina Canton. Support to the development of agriculture and the employment growth are some of the basic activities within the LID project, which helps the strengthening of local communities. It is exactly the agriculture that has a great chance of developing into one of the most successful branches of economy in Bosnia and Herzegovina. “According to the data provided by the Statistics Agency in BIH, the total area under soybeans in 2018 at the level of BiH amounts to around 8515 hectares which means that there is an increase in approximately 1000 hectares in relation to 2017. The reason for the increase in the area under soybeans is a higher profitability in relation to other crops per hectare, and a guaranteed purchase of all produced quantities of soybeans at the price of BAM 0.63 paid by certain companies”, states Dragoljub Malinović, Head of the Branch Unit in Gradiška within the Department of Experts Services in Agriculture of Republika Srpska. Malinović believes that soybeans is becoming an attractive crop in our territory in view of deficit in the total needed quantities of soybeans at the level of Entities and at the state level as well, and considering the sowing of high-quality non-modified types, organised purchase per favourable prices, lower investments per hectare than in other crops and the incentives. Oil plants growing, including soybeans, in BiH is profitable – the market is in place and the purchase guaranteed. This crop does not require special treatments in production and so it can be produced in the north of Bosnia and Herzegovina. Processing of soybeans at farms can also introduce the diversification of agricultural production in rural areas while addressing the needs of the market create new possibilities for farmers of Bosnia and Herzegovina and development of the domestic production.